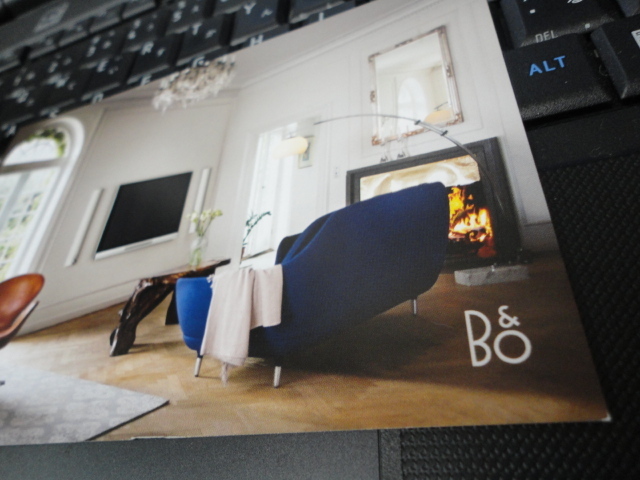 I’ve received renewal Bang & Olufsen showroom postcard. I’m familiar with the quality of Bang & Olufsen sound because many stereo systems are B&O on the mega yacht. I have to study digital equipment, so I’ll make a time to have excellent sound in B&O showroom soon. The picture above has been used on boat window treatment. 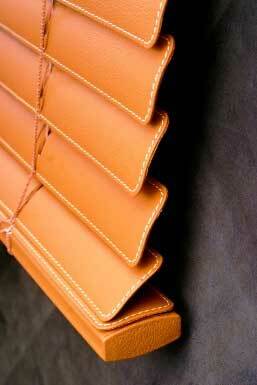 The leather blind create the space to elegant look. 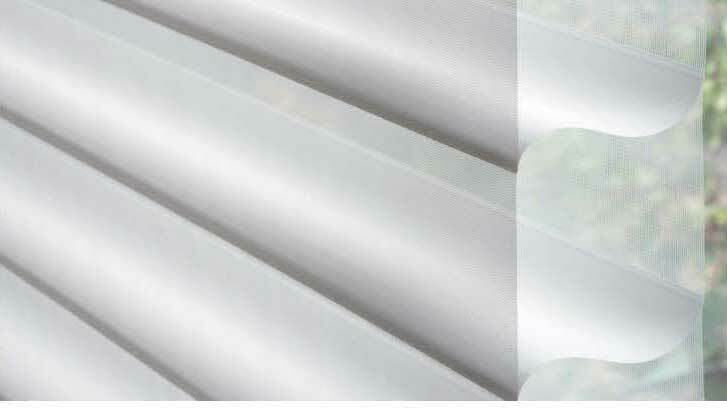 Below blind is also very popular and light feeling. Yacht night time at the harbor or port need any window treatment for privacy. At the same time, we care the beautiful night appearance from inside and outside. It can be possible to install a custom graphic carpet on boat. 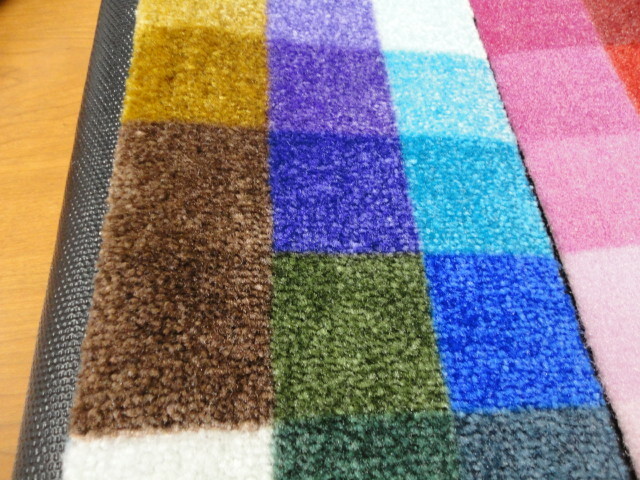 It can be different type of carpet for specific area. The technology is progressing year by year. The choice of color is so many and it’s fun to play with it. It’s getting popular countertop material, Quartz Stone. It’s got rich feeling and surface is very hard and easy to clean. There are many colors available. That’s very good thing too. 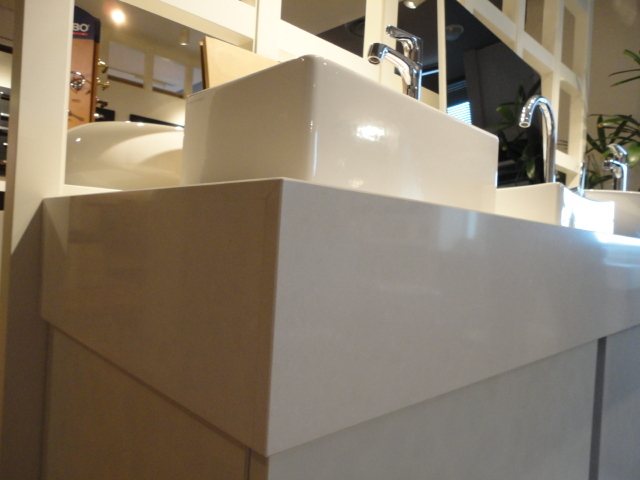 Marble, Granite, Plastic Laminate, solid material (Corian). 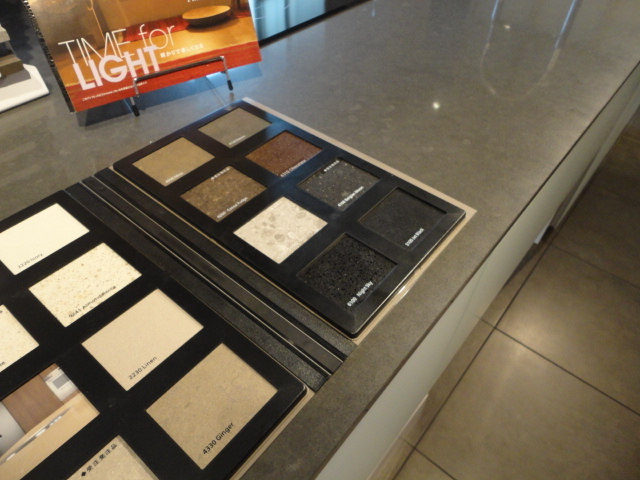 There are several choices for the countertops, but, Quartz Stone, it always welcome to challenge the new material. 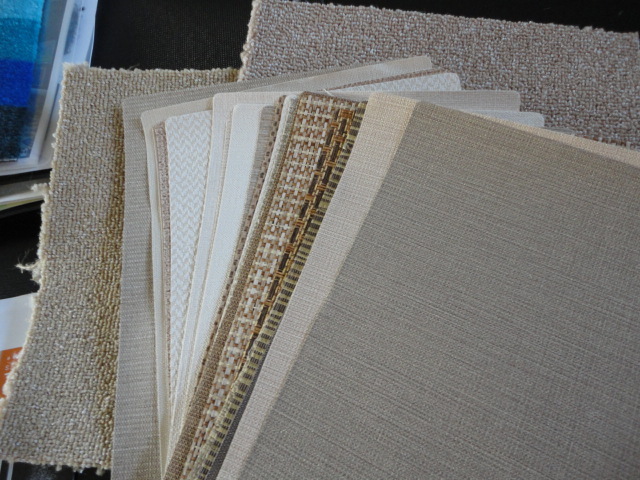 We always order the large sample for interior refit project. The texture and color has to be check on the site under the boat lighting and natural light. It’s very important thing, otherwise what we’ll see is no negative Unnn later.